Since June of this year we've started sending low battery notifications so users should no longer be unaware that they're due for a battery change. Good to hear, but may I ask how it works and how it's different from previous implementation? Sesame app did give low battery warning before, only that it did late after lock was disabled for the low battery voltage. Did you change the algorithm so that it'd recognize the voltage drop rate? Do you find it reliable in the sense that users would get the warning before lock becomes disabled? ps- Good to hear that you are working on gen 2 sesame. I was a bit worrisome that there was no mention of new product development. Hope you hit that goal. Sure! The battery levels are sent to our servers from your phone, and when the battery level reaches 40% or lower, you will receive a notification to change your batteries (assuming you have notifications enabled). In addition, there will be an in-app full-screen popup prompting the user to change the batteries. It will keep appearing every time you use the app until the batteries are changed and the server recognizes the battery percentage to be over 40%. Since we've implemented the new notification system, there has been a significant decrease in the number of Sesame users who were caught unaware by Sesame running out of batteries. There were only 2 exceptions where the voltage drop was too fast for the notification to trigger, and that's definitely something we're looking at eliminating completely. Sounds good. Would it work the same way with Wifi access point? Say if you are away from home for a month and sesame battery drops to below 40%, would access point notify the server too? Sorry but these batteries are $25 each which means I will have to spend $100 a year to keep my lock going? Since the lock itself was around $130 this is a pretty big hit. I don't believe that these batteries are dead I am going to test them . I have a gut feeling its yet another bug in the software on these things. They are pricy at a offline store but pretty cheap on online store like amazon. I got 6 of them for $12 on amazon and they've been working fine. Hi Rossman, we took a look at your battery logs but it looks like the information on our servers hasn't been updated. This is an issue with Android apps we've just fixed. Could you please update your app to 1.0.27, connect to your Sesame, make sure there is a strong internet connection on your phone, and leave the app open for a few minutes? This will allow your logs to update to our servers so we can take a look. Unfortunately it's normal for the percentage to drop quite quickly as soon as it's no longer 100% due to it being tied to voltage and not capacity, so it's more likely that the batteries really are out of power rather than it being a software issue. 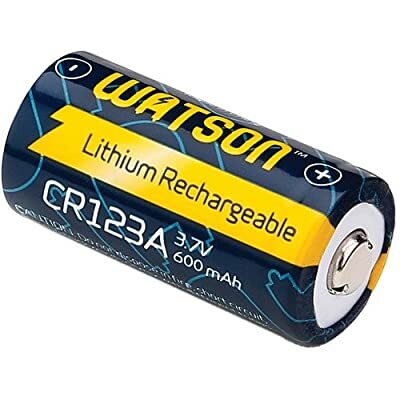 We checked Amazon.ca for these batteries and you should be able to buy them for much less than $25 each! I left it connected for about 10 minutes. Hopefully you got all the logs you need. I was also wondering if there was a bug or an error or just simply a malfunction that could have killed off the batter super fast. My wife mentioned it was clicking a bunch and not turning before it went dead. Thanks, unfortunately it looks like just the most recent data was updated and not the history. Please let us know if your batteries die within the same timeframe again, but in the mean time, definitely change them out! Now that the battery life is getting uploaded again we can keep an eye on it to see if it's behaving as expected, so please update us if you notice future battery life issues. Could you access my sesame log and check the number of turns? I think the last time I changed battery was back in March and it's been almost 9months, battery still showing 100~97% voltage level. So longer battery life is a good sign, but I'd like to get prepared for the battery change. First set of batteries reached 3000 turns before sesame got disabled, so if I have passed 3k turns already it'd be safer to change them soon. $4.00 is far more reasonable. Thanks for pointing that out to me. I still want to make sure there is no error with my unit that causes battery draining. Once I replace the batteries and have it functioning again is it possible for you to do a diagnosis on it? Also would a rechargeable such as this still work? Hey, no this is wrong battery and will damage Sesame ! Please select 3.0V one, thanks. We really recommend the Panasonic batteries for best results, and we don't recommend using rechargeable batteries! And as Jerming mentioned, do NOT use 3.7V batteries in Sesame as it would cause damage to Sesame. Be sure to use 3.0V batteries. Ah thanks. I don't remember when I changed them but I guess statistically my set lasts about 6 months. (Jun - Dec 2016, Jan - Jun 2017) So I should be ready for change anytime now, although battery is still at 99% voltage. I'll test if this set would last longer than 6months/5000 turns. Right now low battery notifications are set to go out at 40% and Sesame will stop turning at 30%. 1. Let's please change the misleading % to voltage so that people won't mistake as smartphone battery level. Sesame stopping at 30% battery capacity would remind people of iPhone 6 battery shutdown scandal. 2. Please add a debug mode for admin user, with which you can learn use history like number of turns and battery voltage graph over time. Great, thanks for the update! Yes, the Bluetooth signal can get weaker when the battery levels are low, so if you start noticing connectivity issues that's also a good time to change the batteries. We're working on this, particularly for our next-gen Sesame! We don't currently have plans to put this into the app, but we'll be sure to pass your suggestion to our dev team so they can consider making this information available to end users.